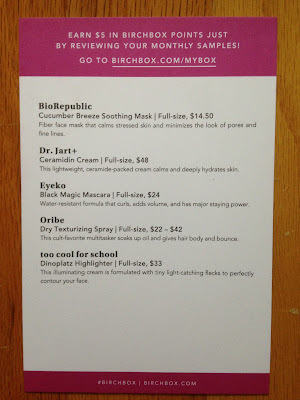 I received my October Birchbox last week and just got around to trying all my samples. This month I did not choose a sample. The sample choice for the month was all mascara and I really like the mascara I've been using, so I thought by not choosing one, I wouldn't get any in my box this month. This month's box was pink in support of Breast Cancer Awareness month. 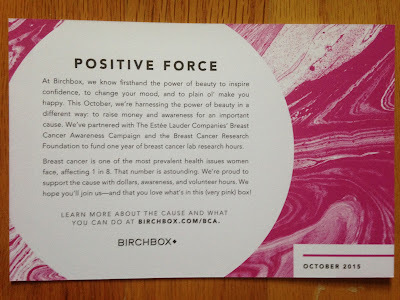 Birchbox has partnered with The Estee Lauder Companies' Breast Cancer Awareness Campaign and the Breast Cancer Research Foundation to fund one year of breast cancer lab research hours. How amazing is that?!? Birchbox always includes an information card explaining everything in the box. I always enjoy reading them. 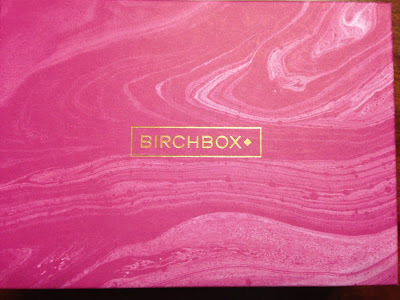 Here is a peek at the first look of my box. Even though I didn't choose a sample I did receive one of the mascara choices. 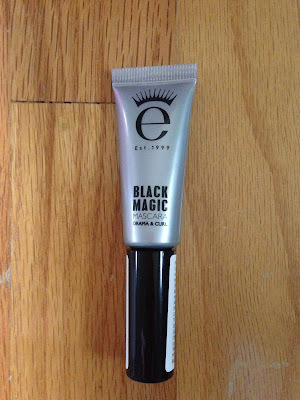 My first item was the Eyeko Black Magic Mascara. I wish I would have chosen a sample now, because this is the last mascara I would have chosen. I've tried this brand in the past and I don't like the formula of their mascara. It's too wet and gloppy. I liked the big brush for the mascara, but I wasn't crazy about the mascara itself. And I love the mascara I've been using, so I knew nothing would compare. The next item I received was Dr. Jart+ Ceramidin Cream. 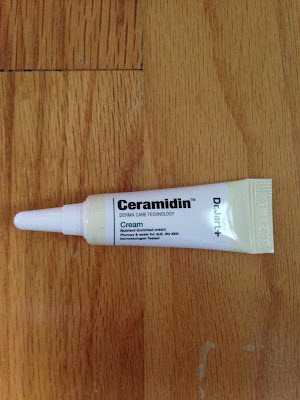 I really liked the thick consistency of this cream. It goes on smooth and blends in to my skin nicely. 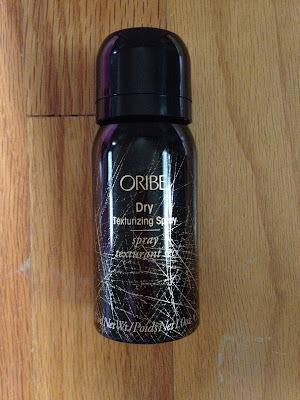 I've been using it at night for my Fall dry skin and I love it. I wake up with perfectly moisturized skin! 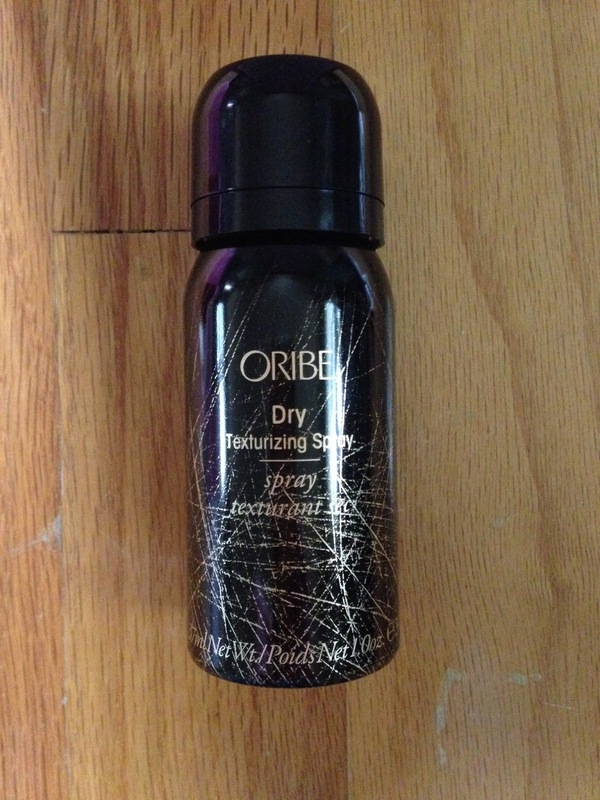 I also received Oribe Dry Texturizing Spray. I've used this and really like it! It smells amazing and makes my fine hair have some body and movement. I use it mainly for the scent, but it definitely improves the way my hair looks when I use it. 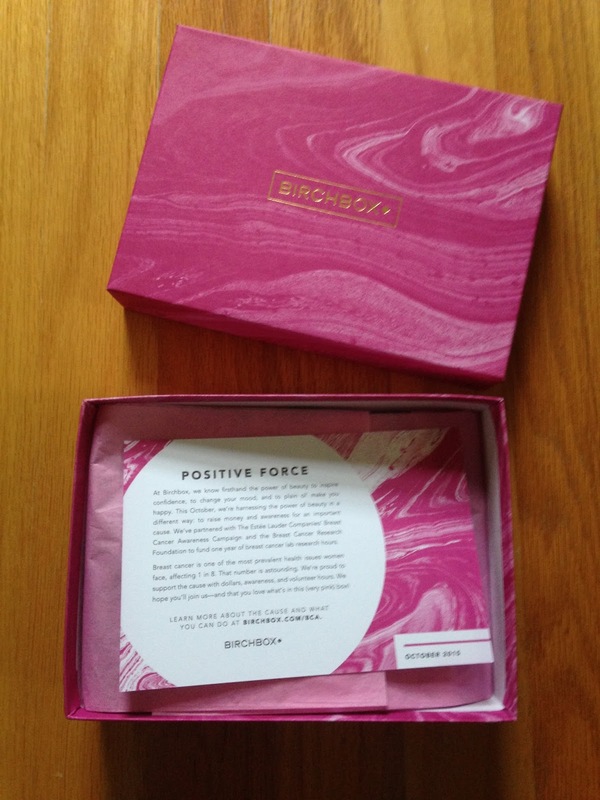 I was happy to get this as a sample, because I buy this product and use it on a regular basis. like Korean beauty products and the packaging is so fun. This highlighter is the best color for my pale skin. It was the perfect peachy pearlescent color that was just enough. It blended in very easily and made my skin look great. This is definitely my new favorite highlighter! 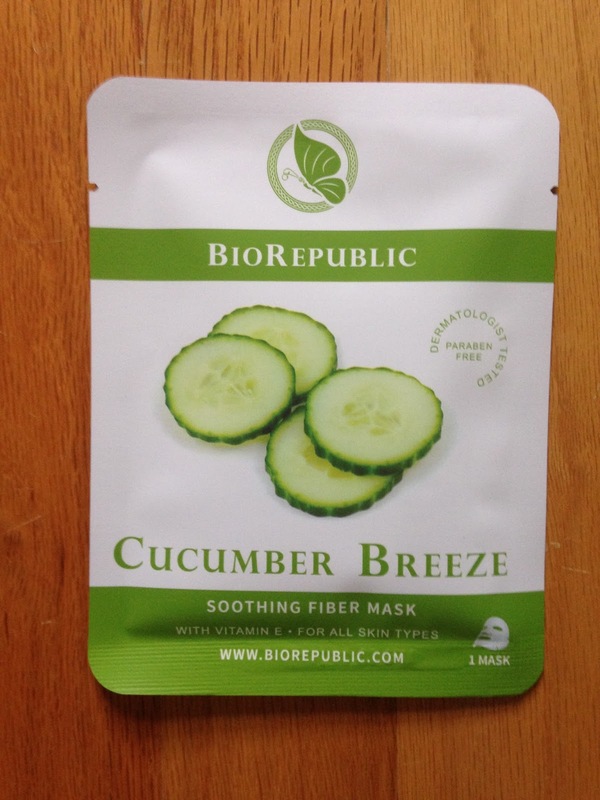 The final sample I received was BioRepublic Skincare Cucumber Breeze Soothing Fiber Mask. I do not usually like the pre-soaked masks, because they always seem to have too much on them and it never sinks into my skin as much as I'd like it to. 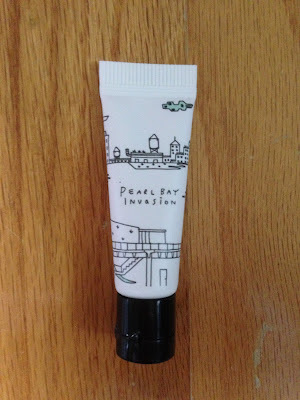 These always end up making my skin very wet afterward and they say to just rub in the excess, but my skin would never dry if I did that, so I usually end up patting some of the excess off and then rubbing it in a little. 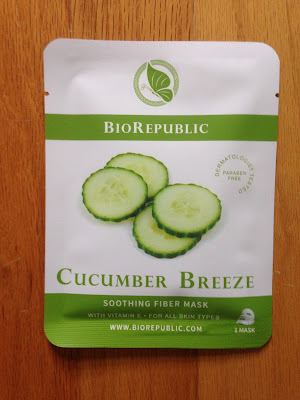 This mask had a pleasant cucumber scent and was very refreshing and cool on my skin. I think I would have preferred trying this mask in the summer, but it worked very well and made my skin soft and smooth. I liked most of my samples in the October Birchbox, so I think this was a good month. I wish they would have included a small treat for Halloween this month. I can't remember the last time I got a treat in my box, so that would have been a fun extra. 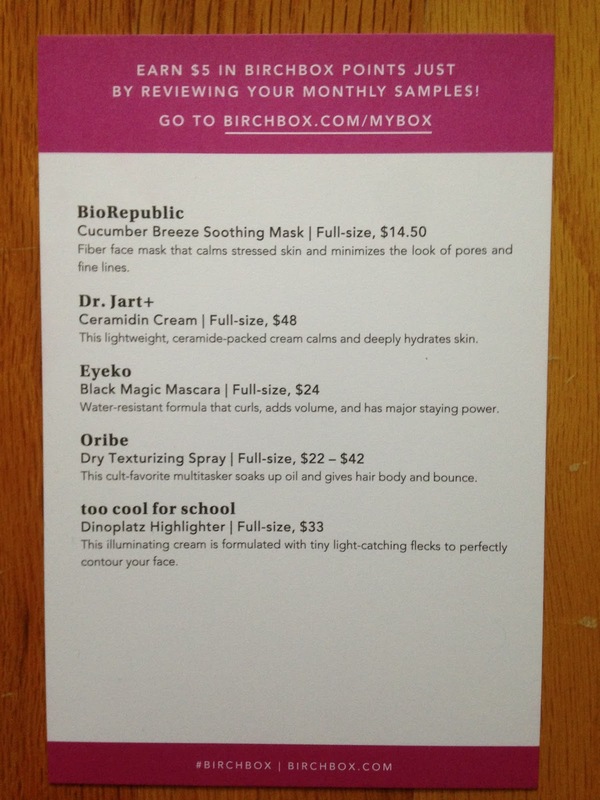 The sample choice was already announced for November and they are new products created by Birchbox, so I'm interested in trying them. Some of the colors do not look wearable in my opinion, but I have very pale skin and tend to shy away from bright lipsticks and eye shadows.